The German investment bank and financial services company, Deutsche Bank AG, raised its stake in Nevsun Resources from 0.45 pct to 39.6 pct following the release of Nevsun’s Q1 2018 financial results. 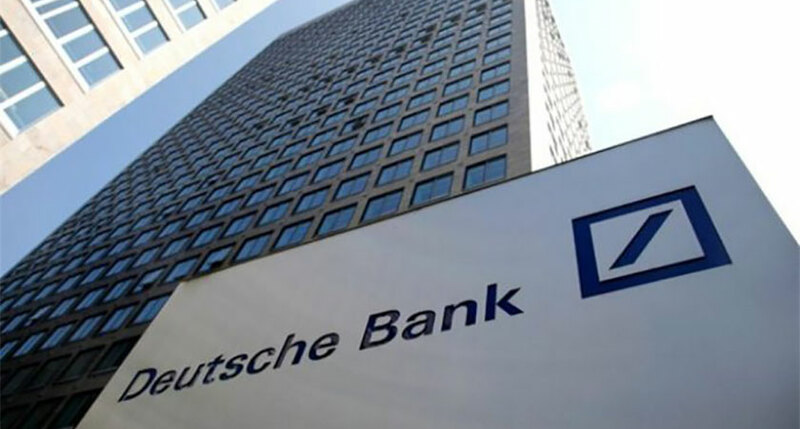 Deutsche Bank AG lifted its position in Nevsun Resources (NYSE:NSU) by 39.6% during the 4th quarter, according to the company in its most recent filing with the Securities and Exchange Commission (SEC). The firm owned 1,365,377 shares of the company’s stock after acquiring an additional 387,003 shares during the period. Deutsche Bank AG owned 0.45% of Nevsun Resources worth $3,331,000 as of its most recent filing with the Securities and Exchange Commission (SEC). Several other hedge funds and other institutional investors have also recently added to or reduced their stakes in the stock. Allianz Asset Management GmbH lifted its stake in Nevsun Resources by 2,773.4% in the 3rd quarter. Allianz Asset Management GmbH now owns 390,000 shares of the company’s stock valued at $842,000 after buying an additional 376,427 shares in the last quarter. Bank of Montreal Can lifted its stake in Nevsun Resources by 7.7% in the 4th quarter. Bank of Montreal Can now own 1,542,439 shares of the company’s stock valued at $3,764,000 after buying an additional 109,936 shares in the last quarter. Picton Mahoney Asset Management acquired a new stake in Nevsun Resources in the 4th quarter valued at about $1,322,000. The Manufacturers Life Insurance Company raised its holdings in Nevsun Resources by 40.0% in the 4th quarter. The Manufacturers Life Insurance Company now owns 347,847 shares of the company’s stock valued at $849,000 after acquiring an additional 99,334 shares during the last quarter. Finally, Virtu Financial LLC raised its holdings in Nevsun Resources by 873.9% in the 4th quarter. Virtu Financial LLC now owns 193,363 shares of the company’s stock valued at $472,000 after acquiring an additional 173,509 shares during the last quarter. 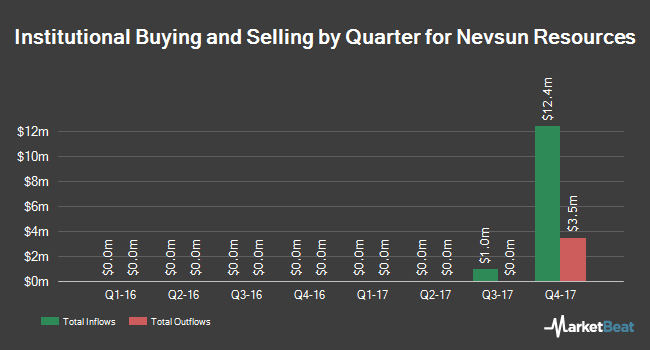 Separately, Zacks Investment Research upgraded shares of Nevsun Resources from a “sell” rating to a “hold” rating in a report on Tuesday, April 17th. Nevsun Resources stock opened at $2.75 on Friday. Nevsun Resources has a fifty-two week low of $1.96 and a fifty-two week high of $2.85.